Wind energy produces electricity without generating pollutants or greenhouse gases and requires no disturbance to the natural environment. Wind systems are located in areas that have a high average wind speed. Utilizing wind energy is a key component of making our country energy independent. It is also environmentally safe. 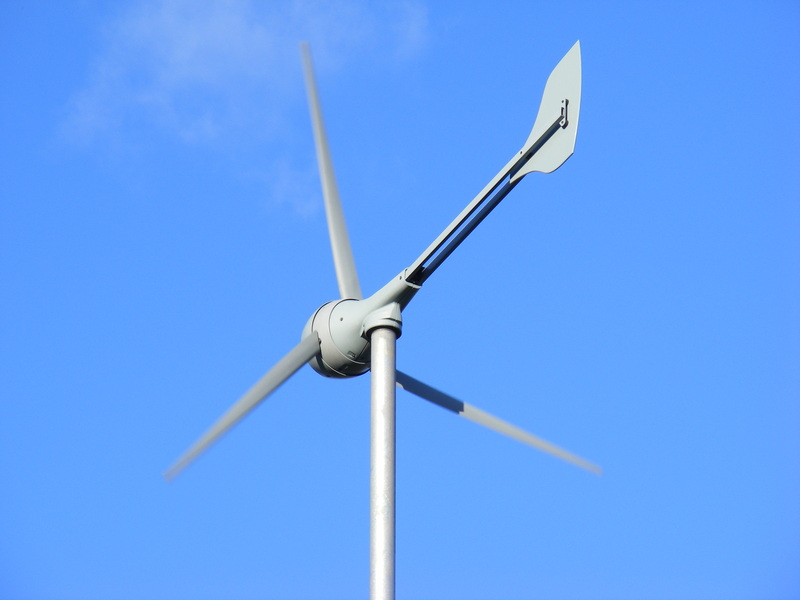 What is a small wind electric system? Many people think that the North State is not a good place for wind energy, but that is not true. Our unique geography has many areas that have enough wind to create the power you need. The North State was designated as the location for one of California’s newest wind farms, called the Hatchet Ridge Wind Project, which is located on Hatchet Mountain outside the town of Burney, 50 miles northeast of Redding. In operation, it will produce over 100 megawatts of wind energy and will be sold to PG&E. The best thing about using wind energy is that it’s free and renewable! It also does not emit any greenhouse gases—thus not providing any more damage to our already-scarred ozone layer and environment overall. Through the use of wind turbines and miscellaneous components to build your system, we can effectively use wind as a major energy source. Wind energy produces electricity without generating pollutants or greenhouse gases and requires no disturbance to the natural environment. Wind systems are located in areas that have a high average wind speed. The amount of energy potential from wind energy could produce 20% of California’s energy by the year 2020. Utilizing wind energy is a key component of making our country energy independent. It is also environmentally safe. Wind energy is actually a converted form of solar energy. The sun’s radiation heats different areas of the earth at different rates, especially during the day and night, but also when land and water absorb daytime heat at different rates. The temperature differentials between the two gradients create wind. Hot air rises and expands and cool air moves towards hotter areas creating wind. Wind energy or wind power is the process by which the wind is used to generate mechanical power or electricity. Air has mass and when it is moving, wind turbines convert the kinetic energy in the wind into mechanical power. This power can be used to run a generator or be converted mechanically into electricity. Wind turbines make electricity when the wind turns the fan, which turns a shaft connected to a generator making electricity. Do I have enough wind for my home wind power system? Wind speed is a crucial element in projecting turbine performance. A site’s wind speed is measured through wind resource assessment prior to a wind system’s construction. Do I have a good site for a small wind power system? Another important factor is how often the wind blows. Generally, an annual average wind speed greater than four meters per second (m/s) (9 mph) is required for small wind electric turbines (less wind is required for water-pumping operations). Utility-scale wind power plants require minimum average wind speeds of 6 m/s (13 mph). What should the size of my small wind electric system be? Small (or residential) wind energy systems typically generate just enough power to meet the demands of a home, farm, or small business. They range from 400 watts to 100 kilowatts or more, and typically consist of a single turbine. There are several components in the cost of a wind project. They include the cost of the turbine itself, construction costs, interconnection fees, metering equipment, and maintenance. How much your wind project costs will depend on your financing arrangements, the size of your project, and taxes. Are there any permits to consider? What should I know about towers? How do I connect my small wind electric system to the grid? 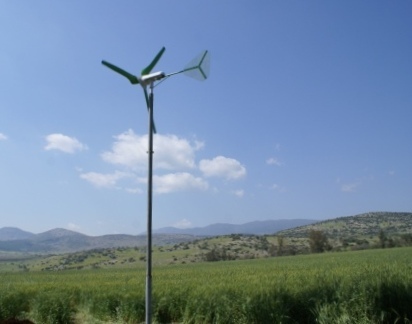 How much does a small wind system cost? To see what system would be best for you, contact us to get started now! 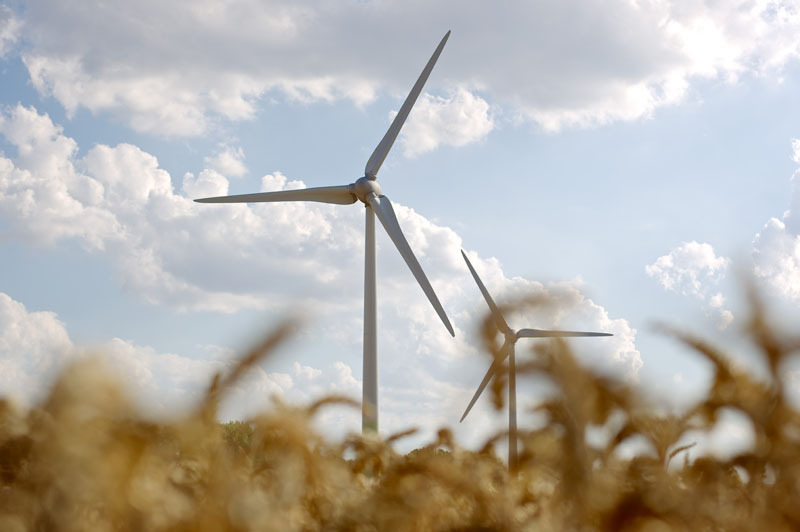 There are energy rebates available for wind power systems. Some rebate programs can pay up to 75% of your cost or more. Are there any rebates available? Your next question might be: “Am I eligible for a rebate?” or “Are there any tax credits?” Integrity stays current on all the tax credits and rebates as the information is made available. 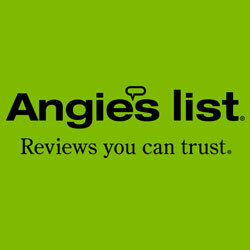 We do our best to handle all aspects and to assist you with the process. One of the big questions you might be faced with is whether there are any financing programs available. Here at Integrity, we attempt to cover all bases when you are considering a large investment for your home. With that, we are continually researching financing options that are available for you to consider. Wind is free, and with modern technology, it can be captured efficiently. Once a wind turbine is built, the energy it produces does not cause greenhouse gases or other pollutants. Although wind turbines can be very tall, each takes up only a small plot of land. This means that the land below can still be used. This is especially the case in agricultural areas, as farming and grazing can still continue. Many people find wind farms an interesting feature of the landscape. views of wind turbines can be awe-inspiring, to say the least. Remote areas that are not connected to the electricity power grid can use wind turbines to produce their own supply. Wind turbines have a role to play in both developed and third world countries. Wind turbines are available in a range of sizes, which means that a vast range of people and businesses can use them. Single households to small towns and villages can make good use of the range of wind turbines available today. In addition, wind energy can provide new sources of income in rural areas, as well as jobs for people who set up and maintain wind turbines or manage wind farms. Employment opportunities range from meteorologists and surveyors to structural engineers, assembly workers, and mechanical operators. Statistics show that every megawatt of new wind capacity creates nearly twenty jobs. By supplying you with electricity that you don’t have to pay for, other than the initial investment. It’s like paying for the electricity once, but you get to keep using it over and over. Installing wind power will allow you to be in charge of your own environment. The problems experienced by others through the failure of mainstream electricity supplies will not affect you. Electricity generation is responsible for 76% of the SO2 (sulfur dioxide) emissions in the Southeast, almost a third of the oxides of nitrogen and mercury, and half of the carbon dioxide. Investing in wind energy can reduce the harmful effects of air pollution from fossil-fuel-fired power plants. Wind energy can provide us with cleaner air and a healthier, safer environment. It won’t pollute our air and water, and it won’t produce wastes that will pile up year after year. It’s also renewable. We can continue to use wind power effectively and efficiently for centuries, without worrying about how it will affect future generations. Wind energy produces no by-products that contribute to global warming, and the power from a single utility-scale wind turbine can prevent the emission of 5,000 tons of carbon dioxide into the atmosphere each year. Wind energy is one of the most useful tools we have to decrease the global warming gases we release into the atmosphere every day. Wind turbines can be damaged in thunderstorms because of their tall, thin shape. The website of the National Lightning Safety Institute indicates that most damage to wind turbines is caused by lightning. The blades of wind turbines can hit birds who attempt to fly between them, especially if the turbines are placed in migratory flight patterns. Keep in mind that birds are also affected by the disadvantages of other power generation methods, especially pollution. 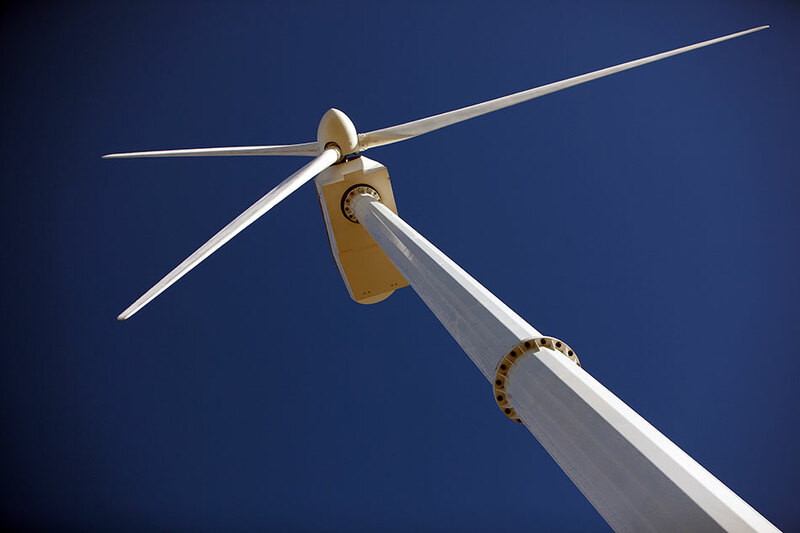 Wind turbines create noise from the turning of the blades. Some people do find it very annoying and stressful while others do not mind. The noise is more likely to be a problem in otherwise quiet rural areas. Wind turbines cause interference to nearby television reception. This can be frustrating for people who have a problem getting a clear image on the TV. For wind powered turbines to reach optimum efficiency, the wind resource needs to be at over ten mph for long periods of time. Areas with low wind speed are not suitable for maximum gain. The advantages of wind power are obvious, and they far outweigh any of the disadvantages. The energy is free and completely renewable, causes no hazardous emissions, and causes no adverse environmental impacts, among many other distinct positives. What more do we need to know before we embrace and capitalize on the power of the wind? ASK ABOUT OUR SENIOR AND VETERAN DISCOUNTS! That’s it! We do it all! Just give us a call!